Applying for any analytics role is daunting. Chances are, unless you have directly worked in the industry before (and not just tinkered around with the platform in your non-analytics specific role), you have a lot to learn. All you really need, however, is the drive and resources to master these skills — that’s what my own experiences taught me. My final internship in college required that I have a Google Analytics Individual Qualification (GAIQ). This prerequisite led me to think I would have to become an analytics wizard by the end of the summer, but I ended up only tracking conversions on my marketing campaigns. Still, I interacted with the Google Analytics platform daily and found it exciting. Fast forward a year later to my post grad job search and finding entry level analytics opportunities. The roles sounded challenging and unique. They intrigued and excited me, but after seeing extensive lists of desired skills that I didn’t have, I was hesitant. I wondered if these applications would be a waste of my time. I applied for a job in the end with my GAIQ proudly displayed on my resume, actively avoiding my fears that HR would notice the very obvious lack of experience I had. By doing so, and actually landing a job at Seer, I learned a few things. First, the most important thing to realize when you’re starting a career in analytics with little (or no) experience is that you’ll be okay – and can still land that analytics job. Don’t let a laundry list of desired qualities and skills scare you away from the job – I nearly let it. You will need to learn all these skills eventually, and the earlier you start the better because the process will be difficult and will take time. But it will be worth it in the end. To get started, here are just a few resources I used to prepare for my interview or use presently to continuously level up. If you’re interested in analytics and know this is a field you’d like to enter, these resources will help enhance your knowledge set – regardless of when you are interviewing. First things first, take the FREE Google Analytics Academy Courses. This will offer the best introduction and high level overview of the Google Analytics platform and Google Tag Manager system. Each course contains videos (text transcripts of videos are available) that walk you through a wide range of topics, at the end of each section is a mini assessment. Make the time to take these assessments and pay attention to the answers, as they will serve as good practice for the Google Analytics Individual Qualification Exam. Excel and Google Sheets will likely become crucial to you during reporting seasons in any analytics job. Knowing shortcuts and essential formulas will help you ace an interview in the short term and be more efficient in the long term. To start, here’s just one example of 10 formulas I needed to know for my interview. 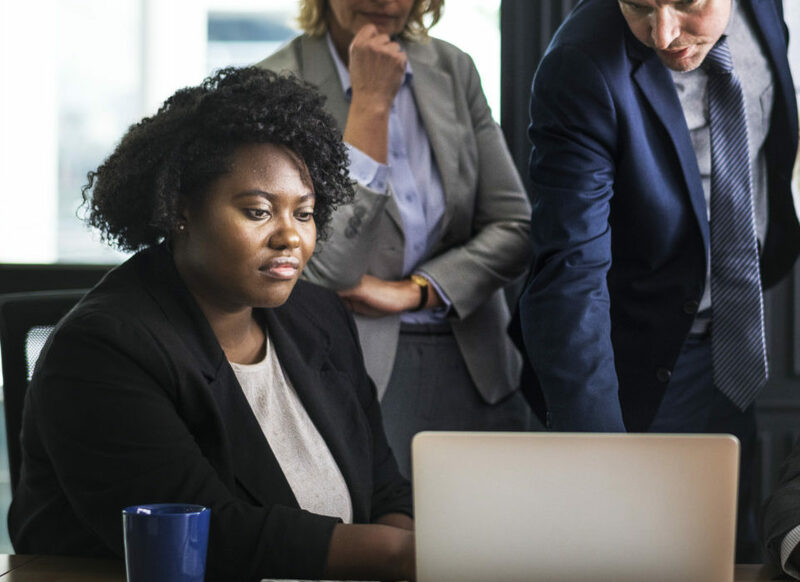 Keeping up with industry trends and updates will prove to your interviewers you not only want the job, but you are genuinely interested in analytics itself. Once you begin your analytics role, you will find that some of these blogs are essential to answering many questions. Google’s personal analytics blog offers updates, advice, and case studies for everything from analytics to data visualizations. Avinash Kaushik is one of the biggest names in analytics, and his blog is considered by some to be one of the most insightful and relevant (even years after publication). Less technical, the content on this blog will help you understand how data analysts think and strategize. Many of your “Why?” questions will be answered in Occam’s Razor. 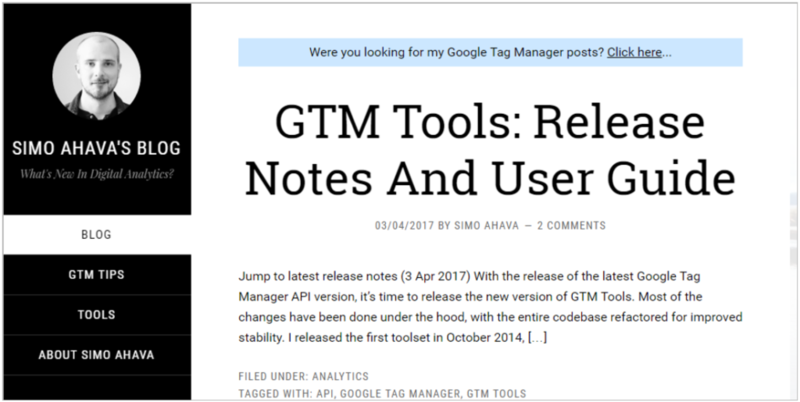 Simo is another big name in digital analytics, but you’ll find his blog more helpful for Google Tag Manager technical questions and updates. While this resource will likely be most important when doing your first implementation, it will be advantageous to you to start browsing his content from now. Last but not least, check out the blog of the company you’re interviewing with. Having the ability to reference specific blog posts (especially those written by your interviewers) will only help your panel interview and shows genuine interest in the company itself. Regular Expressions (RegEx) is the most common language I use day-to-day in my analytics role. It is necessary for everything from Google Analytics filters to Google Tag Manager triggers. RegexOne offers an introduction to the language with instruction and relevant exercises in each lesson. You won’t need to be a coder by any means to land an analytics job, but being able to recognize HTML and CSS tags will be necessary for Google Tag Manager implementation. You can learn more on the job, but start with Code Academy’s free beginners course before your interview. Once you are comfortable with the basics, use this time to practice the skills you learned and explore other analytics platforms. Turn your skills into action by practicing with Google Analytics and Google Tag Manager. If you have your own website to use, create a Google Analytics account using a Gmail address (this is free), a Google Analytics property, a Google Tag Manager Container, and create a simple pageview tag on site. From here, you can try more advanced tagging (like events tracking, conversions, custom channel groupings, etc). If you don’t have your own website to use, download the chrome extension Tag Manager Injector to use in conjunction with the steps above. This extension will allow you to inject your Google Tag Manager container code onto any site – this will not disrupt the site code or functionality for anyone but yourself. While not a requirement, being knowledgeable of other analytics platforms will definitely help you land an entry-level analytics job. Beyond Google Analytics, two of the most widely used platforms are Adobe Analytics and IBM Analytics. Learning Adobe can be difficult because it is not a free platform. My advice would be to familiarize yourself with some terminology using Adobe’s glossary for analytics. Draw comparisons between Google Analytics and Adobe terms (what metrics match up – what metrics have a different naming convention?). The YouTube channel offers tutorials that you’ll find helpful for specific topics or high level overviews. I recommend the same thing for IBM’s analytics platform (previously termed Coremetrics). Check out the IBM Analytics Glossary. Finally, once you’ve gained exposure to everything above, get the certifications that prove your worth and start by taking the GAIQ exam. Passing this exam (you will need at least an 80% to do so) will strengthen your credentials – give yourself a month or so to adequately prepare. If you find there is not enough time to get oriented with the resources above AND get your GAIQ, wait until you start your job. As I said before, getting an entry-level job in analytics does not require a breadth of related experiences (though this helps). It requires an interest in analytics and a thirst for knowledge. Whether it is your third day on the job or your third year, you will always be learning something new that enhances your skills and improves existing processes. Why not start learning now? Interested in working with us on the Analytics team?